This guide comprises recommendations on how to manage particular SAP products to which certain exceptions apply. The focus is on new installation, modeling of the product installation in the Landscape Management Database (LMDB) or the Maintenance Planner of SAP Solution Manager, and on updates or upgrades with the Maintenance Planner and Software Update Manager (SUM). Most technical systems can automatically supply information about their installed software to an SLD, with an SLD data supplier (e.g. 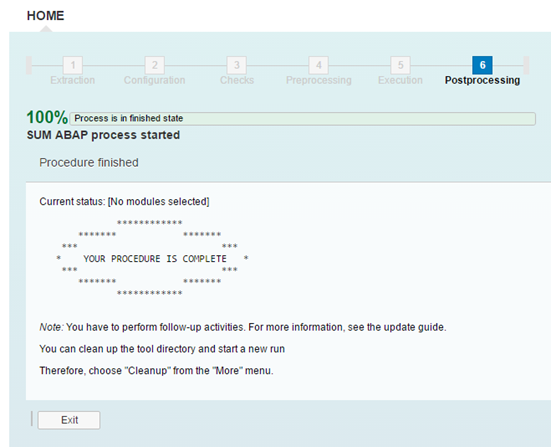 transaction RZ70 for AS ABAP). From an SLD, this technical system data is synchronized with the LMDB and from here, it is uploaded to the customer profile in the SAP Support Portal, which is read by the Maintenance Planner. For details, read Topology of SLD, LMDB, and Customer Profile – How to Get Reliable Landscape Data in SAP Support Portal as a Basis for Planning. Based on this mere technical system information, you create logical landscape data in the LMDB, by defining product systems, or maintenance dependencies and technical scenarios, which semantically describe inter-dependencies between technical systems. To address all technical systems used in one product installation, you need to describe product-based dependencies. This, you can do by either creating product systems in the LMDB or maintenance dependencies in the Maintenance Planner. A product system or maintenance dependency describes how a product version’s product instances are installed on different technical systems, or on technical systems that constitute a dual-stack. All parts of a product system are maintained as one unit. So you must define the product system consistently with the product version information from the SAP Support Portal. The verification function in the LMDB editor for product systems helps you do so. Product system descriptions define the software to be deployed in an update or upgrade of the product system. They enable Maintenance Optimizer to create a correct stack XML for that software download. So product systems or maintenance dependencies define the scope of your maintenance projects for all involved technical systems. …it would be inflexible installed software could not be reused. For example, you could not use one Enterprise Portal System for several business systems. Product system definitions describe dependencies and reuse between technical systems. This is required to be able to update the technical systems consistently and keep the solution running. 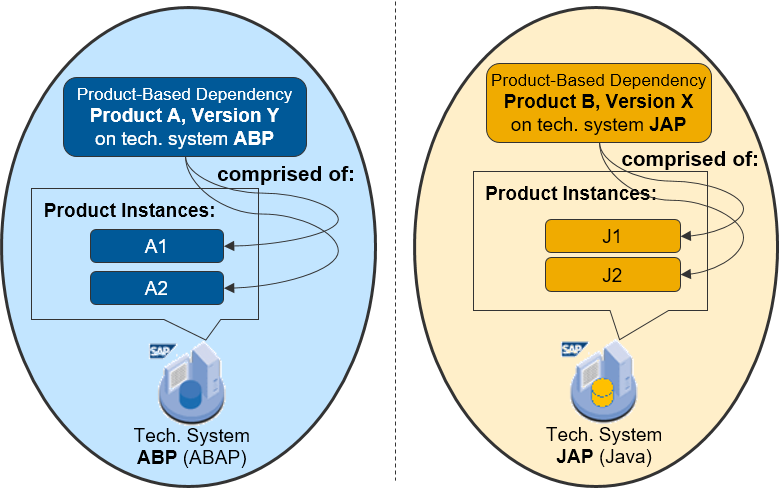 …it would require the installation of dual-stack systems, because even in product versions like SAP ERP 6.0, core parts based on AS ABAP are combined with AS Java-based parts, such as – most prominently – the Enterprise Portal used for Employee Self-Services in an HR scenario. White Paper: SAP Solution Landscape. The Maintenance Optimizer has now been sunset – read more under https://blogs.sap.com/2017/01/06/maintenance-optimizer-sunset-in-sap-solution-manager-7.1/. In the simplest case, one technical system with all its product instances is used in the product system. Figure 01: Two generic examples for a product-based dependency. These can vary even within the product version because of all product instances (grouping software component versions) of the product version that have been picked for the installation. Figure 02: Generic example for a product-based dependency of a product installation on two technical systems. Here you will have to define a maintenance dependency. One more remark: While product instances are used to define product systems and maintenance dependencies, for the latter you need not pick them manually. If the steps of the business processes are tightly integrated, there are dependencies between connected technical systems that must be considered in an upgrade. An example is an HR application of SAP ERP that runs on an AS ABAP-based backend system, and a separate SAP NetWeaver portal system that provides Employee Self-Services. The Portal system can also be reused, by an SAP CRM system for example. This reuse makes the technical system with the portal a ‘hub system’; in updates, it is updated to the minimum version required by the applications involved. 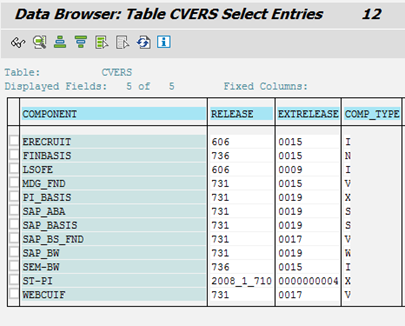 Figure 03: Example of the product-based dependency for SAP ERP 6.0 and SAP CRM 7.0 both making use of an SAP NetWeaver 7.0. 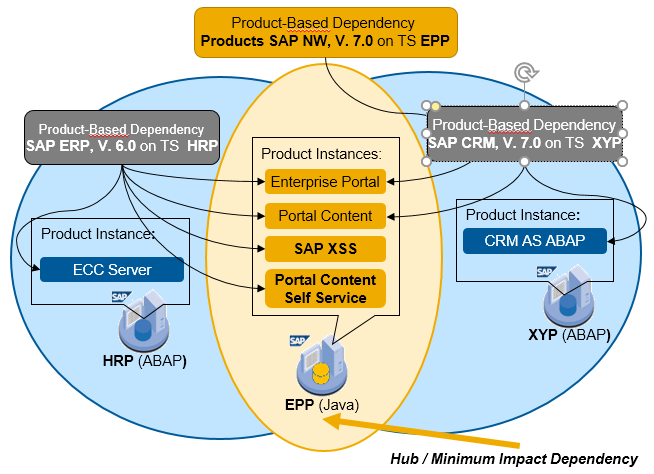 This system is marked as a hub in SAP Solution Manager 7.0 or a system with minimum impact dependency in the Maintenance Planner. For more information, see the Planning Guide fitting your version. Again: Here you will have to define a maintenance dependency. One more remark: While product instances are used to define product systems and maintenance dependencies, for the latter you need not pick them manually to create a maintenance dependency. The following sections describe examples of SAP products to which special installation and upgrade conditions apply. 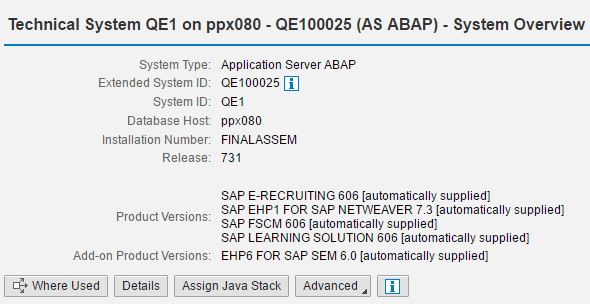 SEM-BW, ERECRUIT, LSOFE, and FINBASIS are add-ons that can be installed as part of the SAP ERP ECC server or stand-alone on SAP NetWeaver systems. They are modeled in the SAP ERP product in the SAP software catalog (SAP-internal: PPMS system), so the technical system with the add-on must be configured as an SAP ERP system until end of 2016 (see also SAP Note 1326576). This has led to confusing End-To-End Maintenance Handling which has been removed now. Now for all four Software Component Versions ERECRUIT, FINBASIS, LSOFE and SEM-BW an equivalent NetWeaver Add-on Product Version exists. 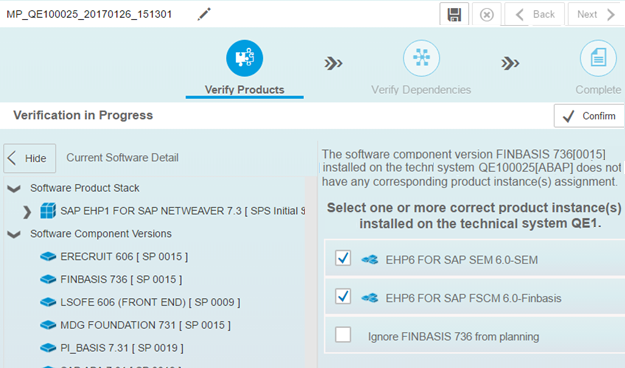 However, you can use the CISI procedure to change from SAP ERP or SAP ERP EHP to the new NetWeaver Add-on Product Version to become more independent of SAP ERP for future maintenance processes. This is only possible if you have SAP SEM, SAP FSCM, SAP E-RECRUITING or SAP LEARNING SOLUTION as an Add-on on top of SAP NetWeaver, and not if you have a complete ECC server. 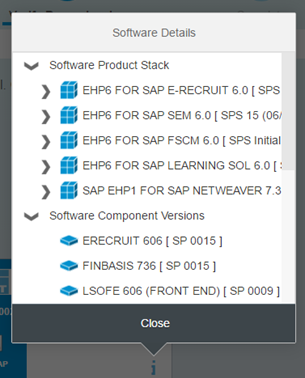 This example show, if all four Software Component Versions ERECRUIT, FINBASIS, LSOFE and SEM-BW are installed together on a standalone NetWeaver system. Old information stored in the technical system within LMDB on the Solution Manager. To be able to use the new Add-On Product Versions you need to adjust the product system information manually. Adjust the data for the product system. Do not change the information for the technical system in the LMDB. This information must always be provided automatically by SLD data supplier. 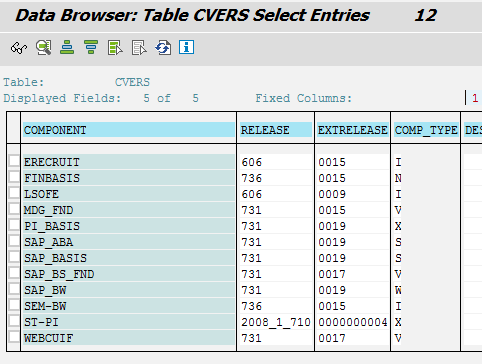 SAP Solution Manager user parameter LMDB_AUTO_DS_OVRWRT needs to be set to value = 06. Search for Extended System ID, which should appear in red, click on the system. – You can apply the changes of the installed software information (ISI) to the system; it will from then on send the correct information – to do so, go to step 12. – You can plan a maintenance in the same maintenance transaction used for the verification: The plan will be based on the corrected ISI and teh correction will be written to the system together with the planned changes. Download and start the Software Update Manager (SUM). 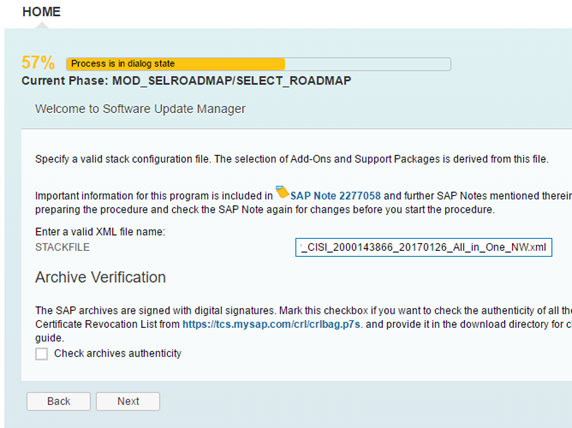 Run RZ70 again to replicate new system data via the SLD to the SAP Solution Manager – that is the recommended confirmation process. 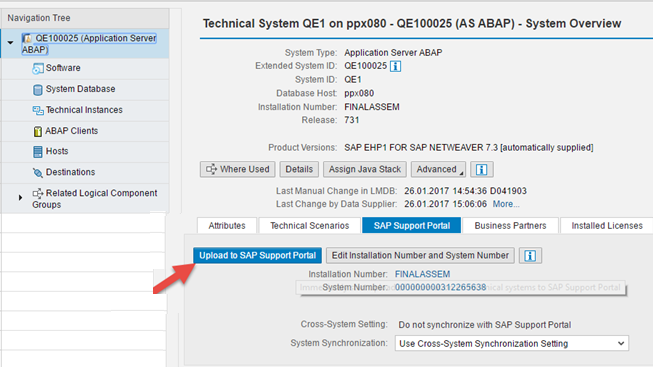 Upload the technical system now to SAP Support Portal. 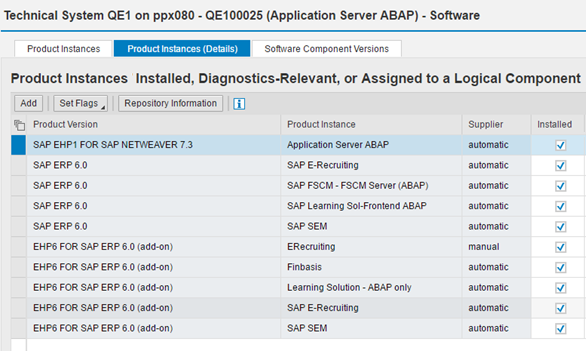 As of now, you’re are able use the Add-on Product Versions with the standard NetWeaver Release and Maintenance strategy. 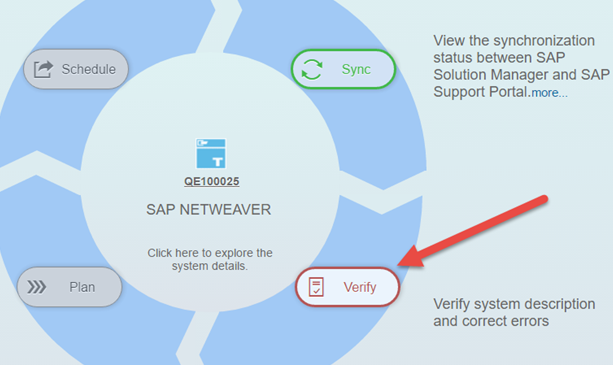 SAP MDM 7.1 (SAP NetWeaver Master Data Management 7.1) maintenance transactions with Maintenance Planner are not relevant for any product instances of SAP NetWeaver Master Data Management 7.1. There are SAP product versions for which Maintenance Planner can calculate update or upgrade information only some product instances. 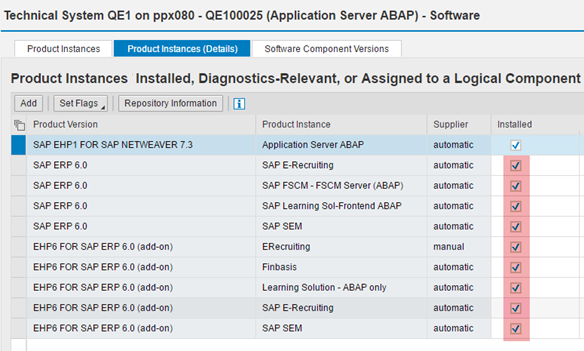 The SAP IDM Web UI is an SAP NetWeaver add-on product instance. 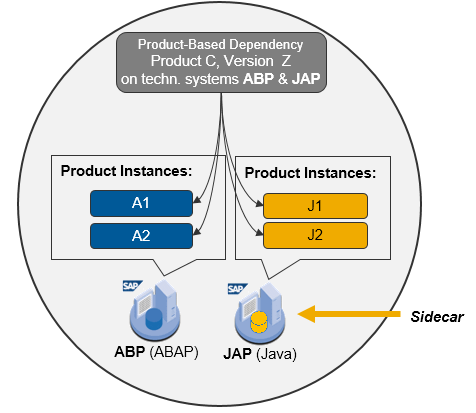 No other parts of SAP IDM product version are deployed on the SAP NetWeaver stack of the AS Java technical systems, so information about these parts is not forwarded to SAP Solution Manager by the SLD, and must be created in the LMDB manually. It is not checked by the verification function for product systems, but Maintenance Planner does consider it for the stack XML file in maintenance transactions. All IDM software components for AS ABAP and AS Java technical systems can be updated by SUM. Updates for any other system types are also calculated correctly, but remain in the download basket; you can install them manually with the dedicated installation tools. In addition to the IDM Web UI instance, IDM consists of other AS Java stand-alone product instances of the Identity Center runtime and the database for the Identity Center Design-Time. Thanks for sharing. Fresh insides! Screenshot 05 and Screenshot 08 are not available. Can you please correct this. Thanks. the missing screenshots have been added – thanks!